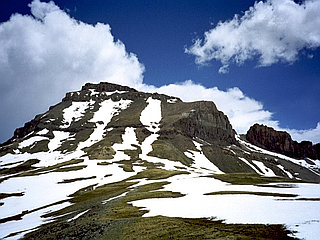 Uncompahgre peak is the highest Colorado 14er in the San Juan Range. 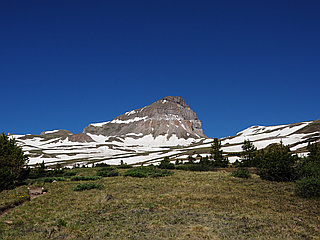 Has a broad summit plateau, rising about 1,500 feet above the broad surrounding alpine basins. 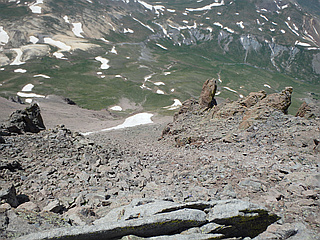 Its distinct shape and easy standard route attracts many summit seekers. The south, east, and west sides are not particularly steep, but the north face boasts a 700 foot cliff. 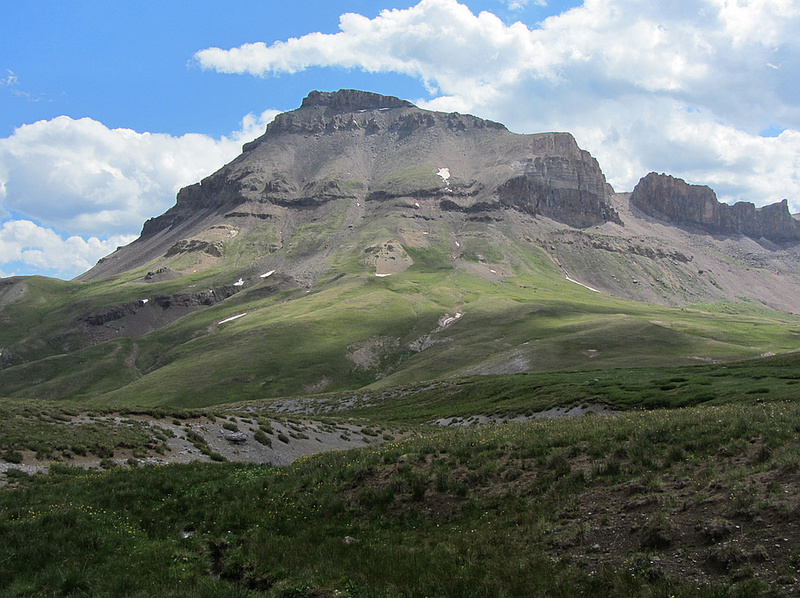 Like all peaks in the San Juan Mountains, Uncompahgre is of volcanic origin, but is not a volcano. The rock is of poor quality for climbing, precluding an ascent of the north face.